Deep-rooted weeds don't have a chance with the Fiskar weed tool. - Cobrahead weeder and cultivator: A formidable-looking tool that’s available in either long-handled or hand-tool size, the Cobrahead is sort of like having a long steel fingernail. It’s great for seed planting, weeding, breaking up dirt, and many other uses. The narrow size enables it to be used in tight spots between plants. - Pocket snips: This sturdy little tool is fantastic for deadheading, harvesting, and light pruning. Quite sharp so they cut through most plants, they also have an ergonomic design that makes them very easy to use. - Hori-Hori knife: Yet another garden innovation from Asia, the Japanese hori-hori knife is a real multi-tasker that looks like, well, a dangerous weapon. Its unique design makes it a cutting tool, a spade, a weeder, a turf-cutter, a great bulb-planting tool, and even can be used as a hand axe. 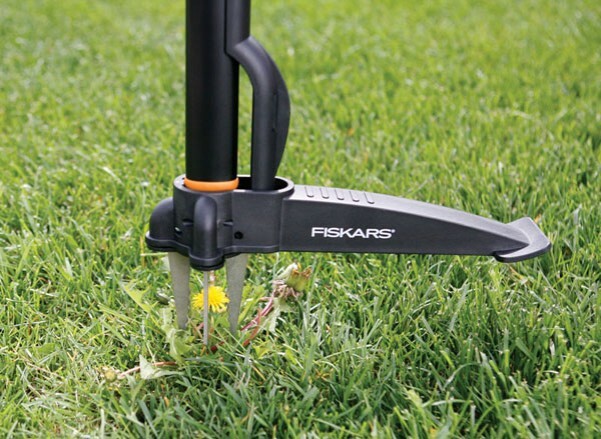 - Fiskars upright weed and root remover: Nothing is more annoying than trying to get out deep-rooted weeds like dandelions and plantains out of your garden. It really is tough to get the entire root. With this device, you not only can get most or all of the root, you don’t have to bend down to do it. - Baker Creek Heirloom Seeds Gift Certificate: Not sure what to get that hard-to-buy-for gardener in your life? A Baker Creek Heirloom Seeds Gift Certificate is a perfect idea for several reasons. First, they have an incredible selection of heirloom flower, vegetable, fruit, and herb seeds. Second, many serious gardeners buy seeds around the New Year to make sure they get the best selection. And third, Baker Creek is a great company that is dedicated to preserving rare varieties.